View your Farmers account now. As your personal agent, I believe in keeping you informed. It is my mission to help you develop the right plans to meet your insurance needs. Through dedication, knowledge and a tireless work ethic, I will be the agent that you want to send your friends and families to. I will strive to protect your clients’ assets. View or report a claim. 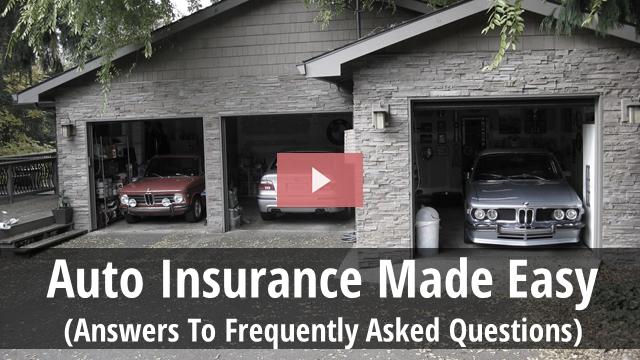 We’ve prepared a couple of brief videos to help you better understand the details of auto coverage and to help you select the correct liability limit for your lifestyle. for parents whose kids go to school away from home. if you own your home; even if the home isn’t insured with Farmers. if a driver on your policy is a student and has a 3.0 GPA or better. if each driver on your policy has taken a defensive driver course in the past 3 years. Another easy way to cut your insurance costs and organize your policies is to bundle multiple Farmers insurance policies. Cover your other investments with Farmers, along with your Auto insurance, and we can substantially discount all your Farmers policies. Not only will bundling insurance policies help cut your overall premium costs; there’s also the added convenience of having all your policies in one place. With streamlined payment and claims processing, along with insight from your personal Farmers agent, you’ll save time and money when you bundle coverage. You will automatically qualify for a multi-policy discount which is approximately 15% off your homeowners policy. And you will also reduce your auto insurance policy approximately 15% by combining your auto and homeowners insurance with Farmers! Therefore you can save approximately 15% off both your auto and homeowners policy by combining both with Farmers.